Exploring scenarios of unlearning nor-mative practices, this workshop collects together and experiments with tools from the realms of art, critical educa-tion, everyday life, and intersectional experiences and theories. The exchange will be based on methods from the KUNCI School of Improper Educa-tion – a project of vernacular education within and across community spaces in Yogyakarta, Indonesia. 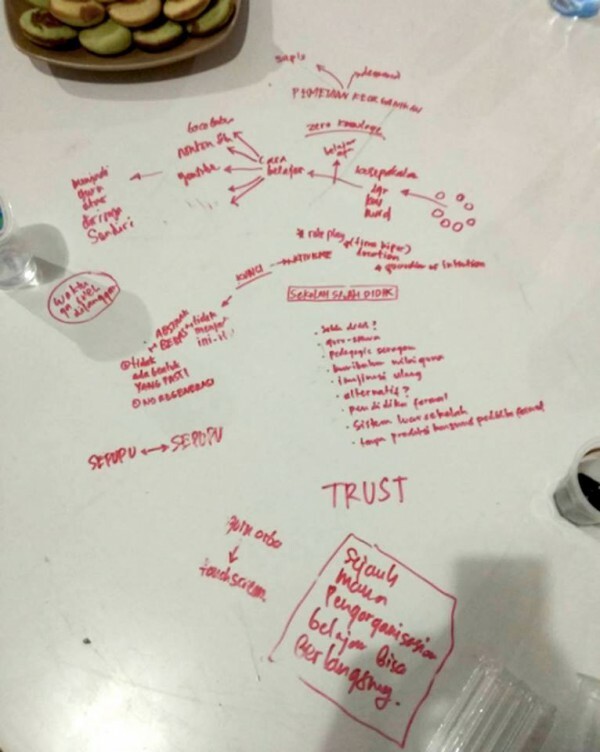 Facilitated by KUNCI member Ferdiansyah Thajib this workshop focuses on the affects of conflict as part of processes of undoing hegemonic patterns, such as normality. To download reading materials for the session on 26 April please follow this link or write to the email address above.